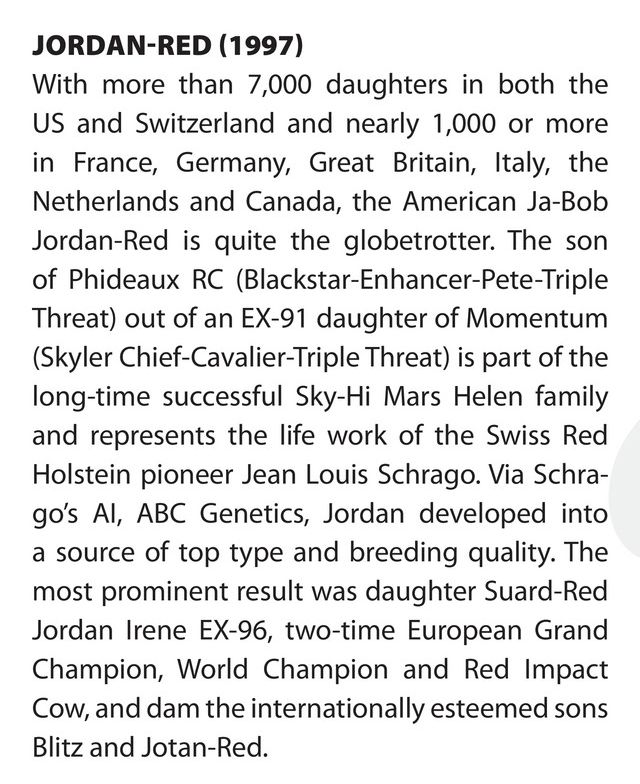 Many breeders worldwide, will remember JORDAN RED as a great Red Holstein bull having many superb daughters with especially beautiful udders, with ideal teat size and placement and several great sons! Top 100 Holstein bulls proven with 99 % Rel. in milk and type. With more than 7,000 daughters in both the US and Switzerland and nearly 1,000 or more in France, Germany, Great Britain, Italy, the Netherlands and Canada, the American Ja-Bob Jordan-Red is quite the globetrotter. 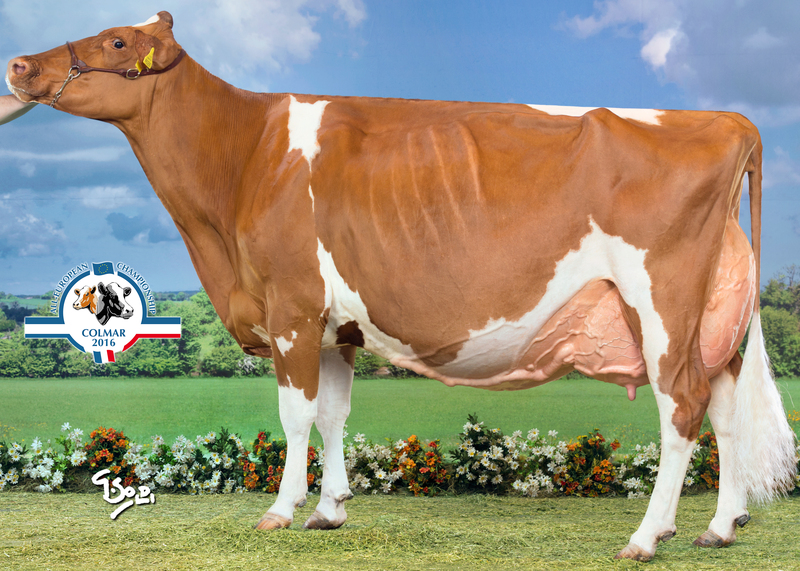 The son of Phideaux RC (Blackstar-Enhancer-Pete-Triple Threat) out of an EX-91 daughter of Momentum (Skyler Chief-Cavalier-Triple Threat) is part of the long-time successful Sky-Hi Mars Helen family and represents the life work of the Swiss Red Holstein pioneer Jean Louis Schrago. 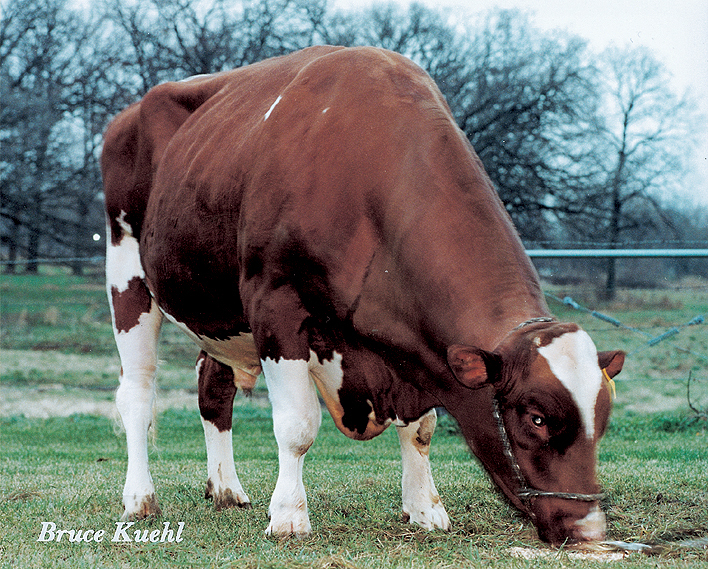 Via Schrago’s AI, ABC Genetics, Jordan developed into a source of top type and breeding quality. 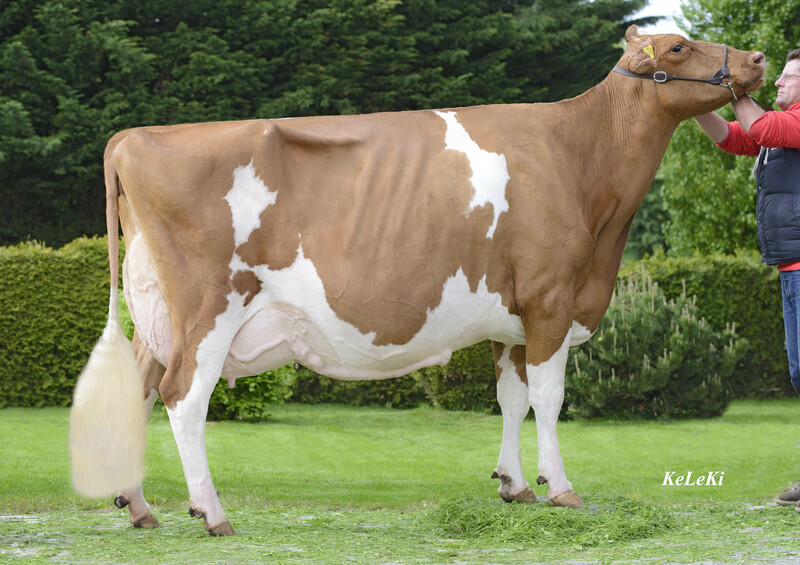 The most prominent result was daughter Suard-Red Jordan Irene EX-96, two-time European Grand Champion, World Champion and Red Impact Cow, and dam the internationally esteemed sons Blitz and Jotan-Red. – She was again European RH champion in 2016 at the Colmar show in France at 12 years old and a production over 200’000 lbs. of Milk. 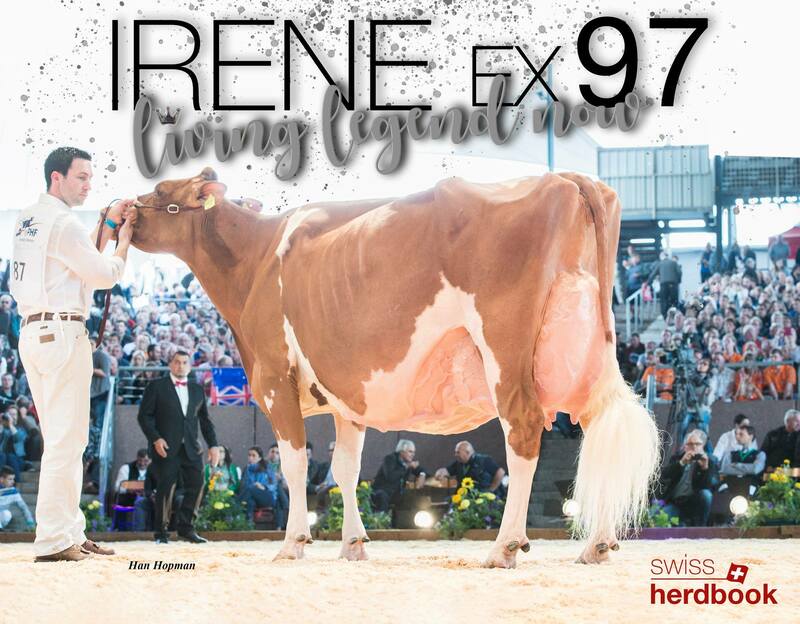 Irene Red EX-97: she is now World Champion RH cow 2016. 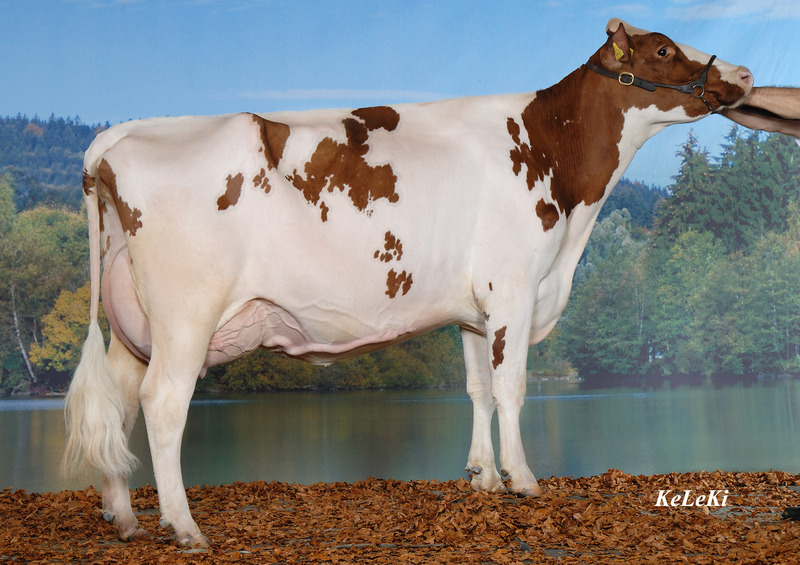 Irene Red is producing fantastic daughters; the first 3 oldest daughters are already classified Excellent. Irene Red has 5 sons in AI in Europe: The first proven son Schrago Remedy ICAR Red is already heavily used in Europe. It was a ” magic moment ” for the 12’000 spectators of the European show on March 9th 2013 in Fribourg, Switzerland. 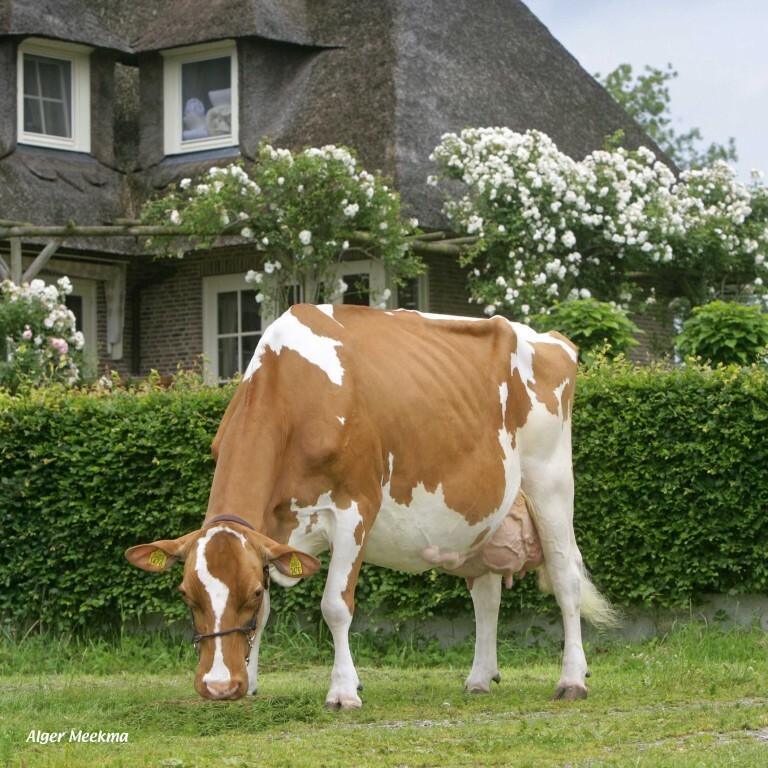 Suard JORDAN IRENE Red EX-97 9 y.
Irene Red EX-96 was nominated in 10 successive shows with 9 different judges in 4 countries!